We are going to be looking at the subject of what not to do in the Internet marketing world 2019, in other words, what doesn’t work! Over the years, I have suffered from something known as “bright shiny object syndrome”, this is something that you do not want to have, I’ve tried it and it’s an expensive hobby! When I started researching Internet marketing back in 2004, I really saw the power of the Internet and the huge potential that it offered, the problem was that I did not know where to start! Over the years I tried so many different Internet marketing products, each one promising to be better than the last one, I was desperate to learn, believing that the next shiny object would really be the one that made me successful online, how wrong I was! Let me just remind you that whatever you are thinking, shiny objects do not work and if you have this problem, you need to stop right now as I can help you overcome this terrible expensive problem! In the early days I signed up to so many Internet marketers newsletters to try and gain knowledge, but all this really done was to take my focus away from my primary goal of making money online, we have to have a plan and goals, without a plan we are almost certain to fail! So What Products Should I Avoid? I think many of us who have been working online have all received and seen products with great headlines, promising to make huge amounts of money from minimal amounts of work, here are a few types of products that you should avoid, they have some absolutely fantastic headlines! Pushbutton traffic – Buy this product and you will have pushbutton traffic, a constant flow of traffic just through pushing one button! I’m sorry, avoid pushbutton traffic, there is no such thing, it takes time to get traffic to your website! Cash cow – This is such a good name, I don’t know who invented it, but it sounds great! How amazing to have a cash cow that just keeps bringing in the money, I’m sorry, a cash cow does not work, it’s a false promise and it will not bring you in cash, please do not buy products with this headline! Turnkey profits – How wonderful, we just turn a key and the profits come rolling in, how marvellous, how wonderful! Once again, please do not buy, there is no such thing as turnkey profits, any business takes work if you think you can have an online business and not work, please stop reading this page and give up having an online business now! Maybe you are reading down this list and finding all these words and headlines far too familiar, I have literally come across these phrases time and time again. The good news is that you don’t have to make the same mistakes that I made, there is a much more straightforward way to start working online. You can take a look at my Getting Started Guide, this is a very simple way to get started and it really genuinely works. The problem I had was that I was running to the next shiny object thinking that the next shiny object was going to be my goldmine, it wasn’t and it won’t be yours, I can assure you! You have to have a plan and you need to stick to it, my getting started guide will show you exactly what to do in the right way. Automated – Now sometimes automated can be good and there are certain things that we can do with our online business and make certain things automated, however, this word can often be misused. There are various pieces of software that can help to automate your business, however just be careful as within Internet marketing automated can often mean scam, do not buy into! Set up once and watch the money flow into your account – I am sorry, I don’t know of any online business where you set something up and the money flows into account! Admittedly, if we are writing blog posts on a regular basis, then this post to last forever, however, Internet products that have this type of headline do not work, please avoid! Done for you – This is a type of product that may be used in an upsell, perhaps you just purchased a product and then you will be offered an upsell that says something like, “take the hard work out of your business”! Unfortunately, in general, this is untruthful, once again, please avoid. Secrets – This is quite a popular headline if someone found something that worked for them really well for themselves, why would they want to tell you!? Secrets normally equals scam product, please avoid. Cash machine – Now this is a very popular Internet marketing headline, all you do is set up your product and the cash keeps flowing in, I’m sorry, this does not happen! I just put a search into Google out of curiosity for Internet marketing cash machine and the usual suspects come up. Please avoid, your cash machine will not work or do what it says on the label! Hijack – Now this is another great name, I see this one a lot, in normal cases, I would say avoid, however, I do know of one product that has the name hijack in it and it is actually a good product, but in normal terms, I would say avoid. 0 to $10,000 a day – This is another popular headline that comes up very often and yes, I have heard of some great success stories where people have grown their Internet marketing business unbelievably quickly, but I’m afraid that it is not quite as simple as this! Once again avoid products with this type of headline, it won’t work! Goldmine – Cash Goldmine – This is another very popular headline for an Internet product, please avoid, there is no such thing as a cash goldmine! Just 10 minutes a day – I have seen many sales pages and videos where the creator of a product will tell you all you need is just 10 minutes a day and you have your own cash cow, I’m sorry, this is untrue, I’ve tried it, it just doesn’t work, it’s not possible! 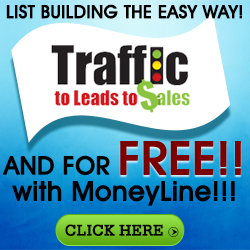 Instant traffic – So you have your brand-new website put up with this nice colourful logo and instantly you will have traffic, I’m afraid another lie! You can have the prettiest website the most brilliant logo, but unless you are prepared to add content to your website, I promise you that you will not have instant traffic! Once again, avoid these types of programs? There are many more headlines that I could bring to you, but I think this is enough to give you the sort of products that I have bought into and they have failed me big time! The sad part is that these products that I have mentioned above actually sell, spam products make people money, but in my mind, this is not right to sell products like this, I will never try and promote or sell a product that I do not think is legitimate or spammy or just does not work. I will be writing another post shortly about what to do in 2019 in the Internet world.